We look forward to welcoming you to ibis Styles Alice Springs for your Central Australia travel. For reservations, call 08 8952 1444 or if I can personally assist please contact H3113-GM01@accor.com or 0466 024 854. Office hours 7am to 8pm daily. 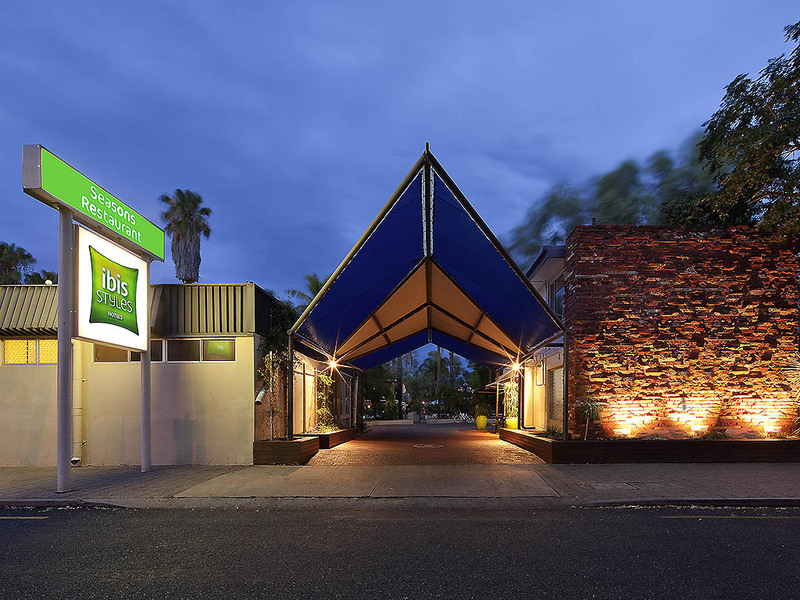 The lovely ibis Styles Alice Springs Oasis sits just minutes from the town centre and features 102 rooms, two pools set among tropical gardens, a spa, BBQ area, restaurant and bar. ibis Styles Alice Springs Oasis is ideal when exploring the attractions of Alice Springs, including Flynns Memorial and the Road Transport Hall of Fame. Alice Springs is also the gateway to Ayers Rock, the Olgas and Kings Canyon. The hotel room rate includes 30 minutes free Internet access. A fascinating town surrounded by spectacular natural wonders, Alice Springs has something for everyone. Guests staying ibis Styles Alice Springs Oasis can explore the surrounding area or travel further out to discover Uluru, Kata Tjuta and Kings Canyon. Guest rooms at ibis Styles Alice Springs Oasis provide a relaxing space that is both comfortable and functional. A convenient selection of room configurations are suitable to solo travellers, families and couples. Each room features air-conditioning, television, complimentary Wi-Fi for LeClub AccorHotels members, bar fridge, iron, coffee and tea making facilities, and ensuite. Pool access and drive-up rooms available on request subject to availability. Specialising in contemporary Australian & Regional food, ranging from a traditional Aussie Burger to Camel and Kangaroo Stew. Overlooking the main pool area, the Sport Bar is truly an airconditioned oasis away from the heat. Relax with a cold drink and unwind from a busy day of sight seeing.